Various Gold Loan Schemes are being offered by private and public sector banks in India to individuals engaged in agriculture and allied activities like raising crops, dairy, fisheries, poultry, fertilizers, poultry inputs, seeds, agricultural equipment etc. within India. This article gives some insight into various gold loan schemes, interest rates and the eligibility criteria for applying for a gold loan. Also read Gold Loan Vs Personal Loan - a comparison study. SBI offers up to Rs. 10L over a period of 3 years against 70-80% market value of the Gold deposited by a farmer. Interest rate per gram up to 1L is 4.25% above the base rate and 4.75% above 1L. Processing fee for loans up to Rs. 25K is Rs. 500 and Rs. 1000 or 1% of the loan amount whichever is higher for amount above Rs. 25K. Under this scheme SBT provides a maximum of 10L to all farmers to fulfill agricultural short term credit requirements for raising crops against gold ornaments. 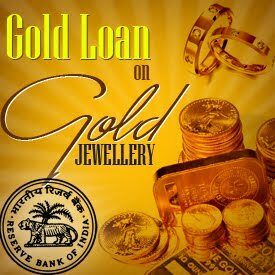 The loan eligibility is calculated based on the crops under cultivation, possession, quality of the gold ornaments etc. Federal Bank is offering up to Rs. 10L under this scheme to individuals engaged in agricultural and allied activities. Currently 75% of market value of the ornaments is disbursed subject to a maximum of Rs.2150 per gram for one year and 80% of market value subject to a maximum of Rs.2250 per gram for 6 months. All individuals engaged in Agricultural activities are eligible for this gold loan. Interest rate is 0.75 above base rate for loan amount up to Rs. 3L and base rate + 3 above Rs. 3L. IDBI offers a minimum of Rs.10,000 and Maximum Rs.5L to individuals against pledge of gold for meeting the temporary cultivation needs, social obligations and medical emergencies. Canara bank is providing a maximum of Rs. 3L subject to 80% of the value of the gold jewellery for various agricultural purposes. The information provided in this article is collected from various online and offline resources. Please contact the bank directly to know the latest interest rates, eligibility criteria and processing fee. Y canara bank an exemption? IT has hidden charges. They will contact( send letter to) you only after due date of the agri-gold loan. then naturally farmers get no subsidy. Through gold loan you can get cash in few minutes. There are lots of lenders in market providing the loan against gold at attractive rates. One needs to compare the Gold Loan Interest Rate and select the right lender. Visit the website or dial 600 11 600. These kind of loans are very beneficial for the applicant as if he clears the loan much earlier than the term mentioned, he will avail the facility of getting the next loan at an interest rate of 3 percent per annum. Thank you for the information you are providing to us it is helpful to me. Really a nice blogger you are. I HAVE AVAILED A GOLD LOAN FOR RS.91000/- FROM SBI FOR AGRICULTURAL PURPOSES ON 19.09.2015 AND NOW IT DUE FOR CLOSURE. NOW I AM UNABLE TO RAISE THE TOTAL AMOUNT AND HENCE I REQUESTED THE BANK TO CLOSE THE EARLIER LOAN AND ALLOW ME A NEW LOAN, BUT THE BANK AUTHORITIES IS INSISTING TO CLOSE THE LOAN TODAY AND AVAIL A NEW LOAN ONLY ON TOMORROW. FOR CLOSING THE LOAN FOR GETTING THE AMOUNT ONLY WAY IS TO APPROACH BLADE MAFIA OR THE GOLD WILL BE SELLING BY BANK FOR CLOSING THE LOAN. WHY THE BANK AUTHORITIES IS INSISTING FOR CLOSING TODAY AND AVAILING FRESH LOAN ONLY AFTER A DAY. Gold loan is easy and effective way to create cash. Thanks for sharing such a useful information regarding loan.Keep sharing.